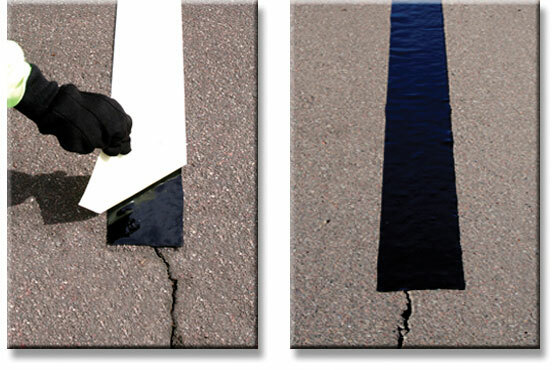 QWIKSEAL is a peel-and-stick, modified asphalt compound ideal for sealing cracks and seams around pavement patches and concrete joints. 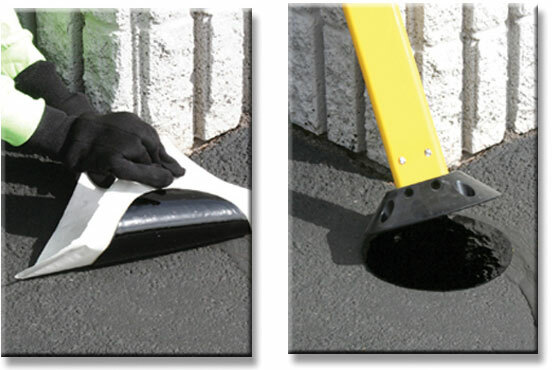 Applying QWIKSEAL is as simple as blowing the pavement making sure the surface is clean and dry, unrolling QWIKSEAL and applying it to the surface. Warm the edges to ensure a long lasting bond. Crafco QWIKSEAL is supplied in a preformed, continuous strip either 4” or 2 1/2” wide and 50 feet long. Crafco QWIKDOTS are pressure sensitive, peel-and-stick, modified asphalt adhesive pads. Use them to adhere sign posts, rumble strips, speed bumps, parking bumpers, temporary signs and more to both concrete and asphalt pavements. Available in 6” diameter – 120 per box and 8” diameter – 80 per box. 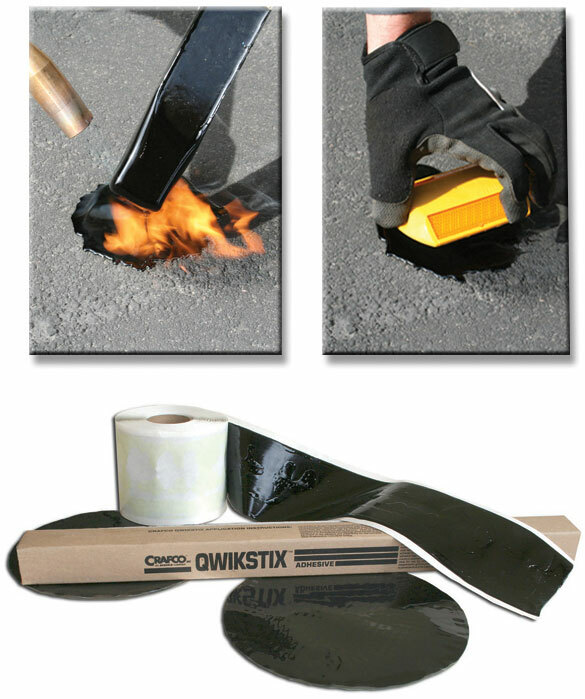 Crafco QWIKSTIX are a fast and easy way to adhere pavement markers or repair small cracks. The only tool required is a small torch.